Bangalore- Mysore- Wayanad 5 days Budget Tour. Wayanad is small district in North Kerala and less travelled by the tourist unlike Munnar, Periyar, Cochin etc. It is famous for its tea & coffee plantation, waterfalls and Bandipur National Park. You can reach Wayanad from Mysore side or from Kozikode. Here I am sharing my complete experience of 5 days budget tour. I always travel to find myself in unfound me. I am travelling throughout India over past 25 years but I never felt of writing any travel blogs unless my friend Aarti told me to pen down my traveling experiences as it would help other budget travelers. This is my first ever blog as a travel itinerary and I don't know whether I can put my pen down to paper or not. I will write and share personal experiences on other parts of india later but to start with let me start with my recent budget travel to Bangalore-Mysore-Wayanad. This trip was specially planned for my husband-Raj's birthday. We both are not frequent fliers, I personally like to travel by train/bus where you can discover and enjoy the culture while on wheels. We have traveled to Karnataka-Kerala earlier as well so this time we booked the flight tickets. We took 8:10am flight from Mumbai and reached Bangalore at 9:45am. Bangalore airport has a very good shuttle service if you wish to go in main city or directly to Mysore. We took route no. 12 to Bangalore central as I wanted to visit my friend's place. Shuttle ticket was Rs.265 pp. We spend one whole day in Bangalore with some old friends. You can always visit Bangalore palace and Lalbagh Botanical garden. The botanical garden was originally commissioned by Hyder Ali (Ruler of Mysore) and finished by his son Tipu Sultan. Garden houses India's largest collection of tropical plants and the important tourist destination. Next day we started with our actual trip. In the morning we reached at Satellite bus station on Bangalore-Mysore road. Satellite bus station has 2 parts- Bapuji Nagar and Kangeri. First one is near the Bangalore city. We catched KSRTC bus from there. Local buses are comfortable and economical. Private/luxury buses also ply between both the satellite bus stations to Mysore if you wish for more leisure. Bangalore city to Mysore distance is around 140 kms. We started at 8:30am and reached Srirangpatna in 2 hrs from where Mysore is just 20 kms. Here, we visited Daria Daulat Bagh- it was Tipu Sultan's summer palace. Monument is under "Incredible India" campaign but needs more restoration. If you are entering Mysore from Bangalore side you can always stop and visit this place. This village still has the fort wall and has Tipu's tomb and a small temple inside it. You can do all these places on foot as it is in the area of 1-2kms circumference. After that we rode KSRTC AC bus to Mysore (Ticket Rs.35) and got down at Mysore bus stand just outside Mysore palace. The road near stand has lotsa standard hotels. If you wish to stay in basic lodges (Rs.500~800 per room) then it's the other side of the stand. We stayed in Hotel (AC room Rs.1300, Non AC Rs.900). There is one veg restaurant attached to this hotel. 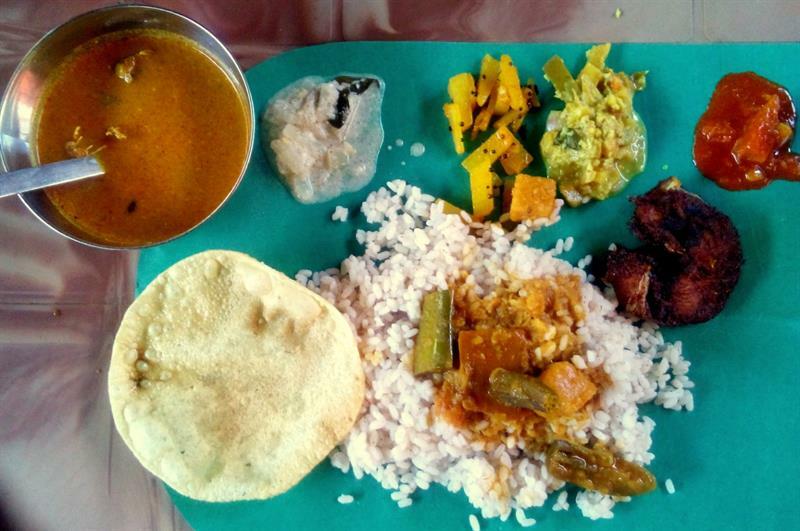 We had Karnataka thali here (Rs.90). Then we started our Mysore sightseeing. First we visited Mysore palace. Palace is one-time visit place but it was super crowded when we went. There is small wooden palace of current queen too which is also worth visiting. Photography is allowed outside the palace building only. After that we visited Mysore Zoo, the next must-do attraction of Mysore. We also visited St.Philomena Church which is on walkable distance from palace. In mysore also, there are two bus stands, one is local and other is interstate. Both are at 4-5 mins distance on foot. Next day we had our breakfast in the same restaurant where we had our lunch earlier day. I will never forget the taste of Medu wadas they served. Those were super crispy and yumm. We went walking till interstate bus stand and waited near platform no.3 to go to wayanad. From Mysore, first bus to Wayanad is at 5:30am. You can get bus to Mananthavady as well if you wish to go to Nagarhole NP. We got 8am Kozhikode (pronounced as "koikode"). Sultan Bathery is 115kms and state transport buses ticket was Rs.112. Road to Sultan Bathery (wayanad) is in very good condition and goes through Bandipur National Park (road is closed between 9pm to 6am). As soon as you come out of Bandipur national park border you enter into kerala. We reached Sultan Bathery at around 11am. Like other places in Kerala we did not found any homestays here. We checked-in in hotel room on the main road. Wayanad has 3 major cities- Sultan Bathery, Kalpetta and Mananthavady. All the tourist attractions are scattered all over the wayanad. So we decided to cover few main points near Sultan Bathery and then moved to Kalpetta. There is a Jain temple in the main market of town. It was captured by Tipu Sultan and being converted in armor bathery, that's the reason this place is called Sultan's Bathery. After lunch, we started for Edakkal caves and Meenmutty falls. In wayanad, you can hire auto rickshaw or Tata magic for sightseeing. Edakkal cave (entry time 9am to 4pm) comes under must-visit places of Wayanad. Edakkal cave has stone-age carvings of Elephant, Dog, Peacock, male & female front-back images. It is a natural rock shelter used by stone-age people. You have to climb steps to reach cave from the base (approx. 20 mins) We also visited flower garden on the way back from caves. It has large amount of flowers n other trees. After coming back to hotel we paid Rs.700 to Tata magic guy for run of 70kms. Next day we decided to move to Kalpetta (22 kms from SB). We took bus at 8:45am and reach kalpetta by 9:30. Main road of Kalpetta has many good hotels like Chandragiri and Woodland etc. We stayed at Woodland. By 10:30 we started from hotel and started searching for auto rickshaw for sightseeing. Huh….This was the time to check for my bargaining skills. Trust me…tata magic is not at all comfortable. I was shocked to see one auto-walla got ready to come by meter. ? We first visited the view-point on the wayanad-kozhikode highway. The view of road and valley was spectacular. Enrouting Pookode lake we saw chain tree (nothing to see here) as well. Pookode lake is very nice and quiet place. You can enjoy boating with your loved once. You can take a round at the bank of lake as well. Then auto-walla took us to Banasura Sagar earth dam. It is Asia's second largest earth dam. There are paid shared jeep in the entrance to go till dam. We decided to walk down for 2 kms. There is a park near the dam where even adults can enjoy swings remembering their childhood days. After visiting these 3-4 places we came back to kalpetta at 3pm. Autorickshaw meter was Rs.800. Next day we got up at 5am and got ready for our trek to chembra peak- the most picturesque destination of our trip. We took the 6am bus to Meppadi. Had coffee there and took an auto to Chembra peak from there. Chembra peak entry fee is Rs.750 for the group of 10(Entry gate office opens at 7am). They did not allow you to club with another group once you reach the forest office. So look for the company in the Meppadi itself so that you can share the entry fees. The auto-walla charged us Rs.200 for one-way. The entry gate is 2 kms and watchtower is 7 kms from meppadi. Auto-walla dropped us at watchtower. From here the actual 5 kms trek starts and a forest guide accompany you. 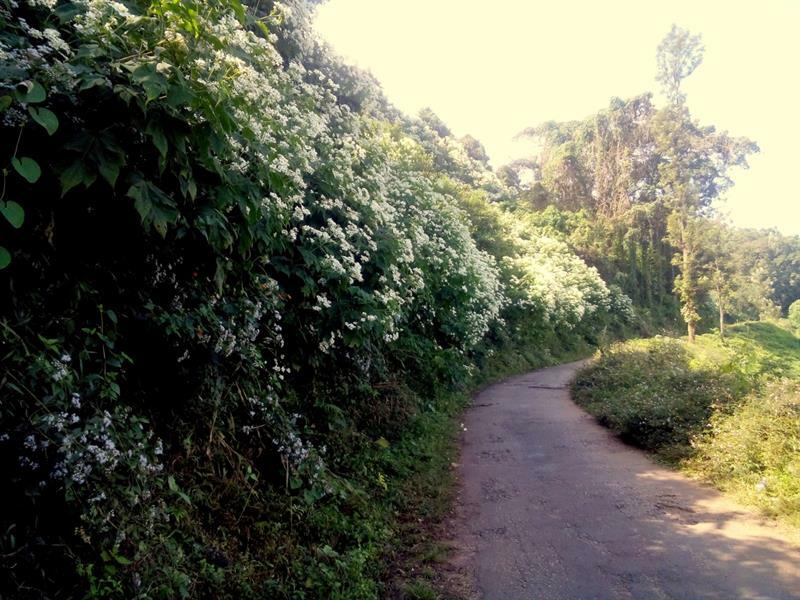 It has a gradual climb and many black pepper creeper along the route. 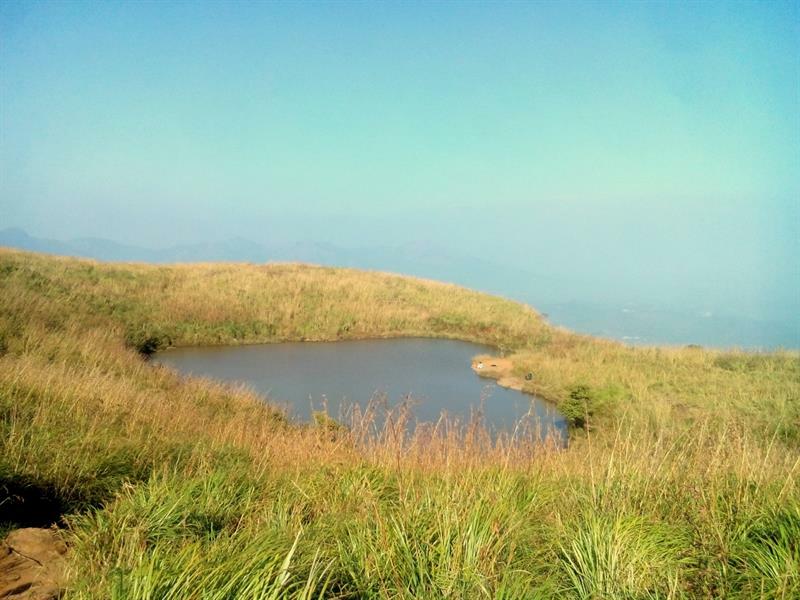 As a regular trekker it took us less than an hour to reach Chembra lake. We reached top at 9am. The view from the top is magnificient and heart shape of the lake is the icing on the cake. We got down in 30-40 mins and had a toilet break at watch tower. Forest department has maintained the clean toilets here. We decided to walk down till meppadi (7 kms) as descending along the route is always my favorite. :P We started at 10:45 and reached meppadi at 12. We had a stomach-full fish lunch at the local restaurant. Kundal fish (Squid) is the speciality of Wayanad. Do try Kundal fry or curry without fail. Then we took the bus for Soochipara falls junction. 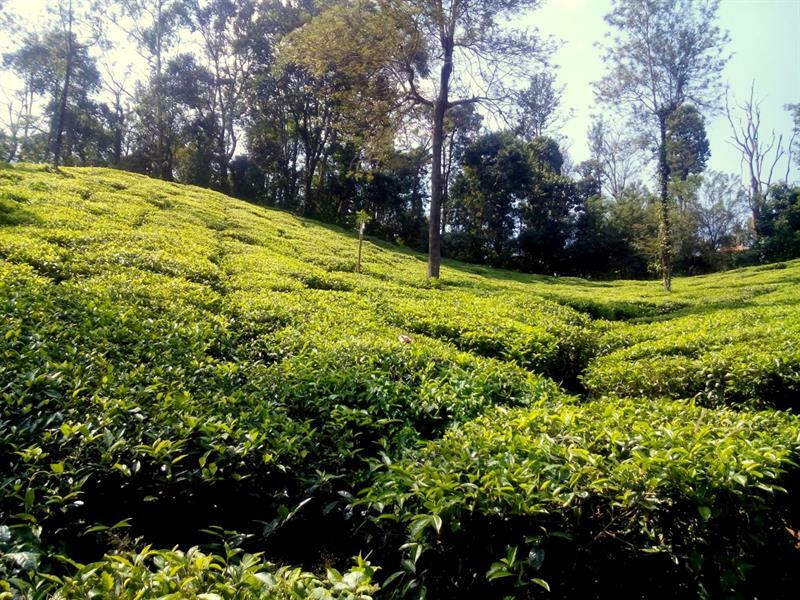 Wayanad is famous for tea, coffee and black pepper plantation. You can enjoy the tea plantation along the road of Soochipara. In 25-30 mins we got down from bus and started walking towards falls which is 2 kms from junction. You have to surrender all your food and plastic items at the entrance of the fall. One can enjoy swimming near the fall but you have to descend a lot to reach the fall from the main gate. There is a security guard as well at the fall. We clicked some pictures here n climbed up to the entrance. There are lot of stalls outside main gate where you can have refreshments or lunch. We had nimbu paani here then walked down to the junction where we got shared jeep for Meppadi. From Meppadi we travelled to Kalpetta. I bought coffee, tea and local spices from the shop as that was the last day of our trip. We bought plum cake from "The walnut cake" shop. The majority residents of Wayanad are Catholics so you will find the cake shops everywhere. Don't forget to grab your favorite cake or pastries. Next day we had a return flight from Kozhikode airport. We took a first bus at 5am which comes from Kalpetta and reached Kozhikode bus stand at 7am. After having Idli and Pathiri for breakfast we got the bus to Pallakad from the same bus stand. The bus conductor dropped us at the airport junction from where airport is 2 kms uphill. I personally loved Wayanad though I did not see every place. This was my 3rd trip to Kerala and I have enjoyed Kerala everytime. Due to its lovely people, fantastic state transport, mouth-watering cuisine and great hospitality, Kerala is in true sense "God's own county". 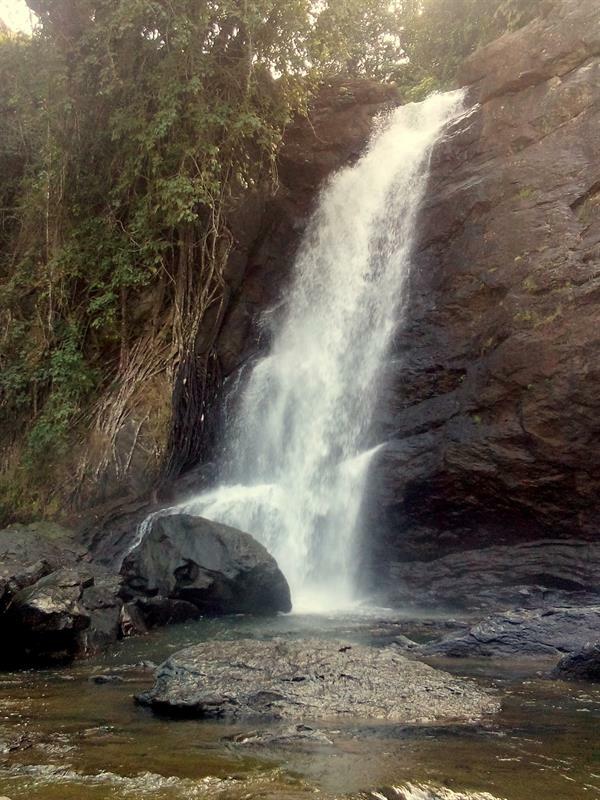 Nice blog and you have covered maximum places in Wayanad. I would like to add something here. Wayanad is best honeymoon destination in Kerala. The hill station's atmosphere is absolutely romantic. There are many resorts providing luxury honeymoon stay with swimming pool, spa, jacuzzi etc. Wayanad silverwoods is one among them which located nearby Banasura Dam that offers the best view of dam and lake. If you would like to spend your honeymoon there, you can contact now. Well Written blog on one of the exotic tourist destinations in Kerala, Wayanad. thanks for sharing. Great posts, thank you for sharing these blogs. 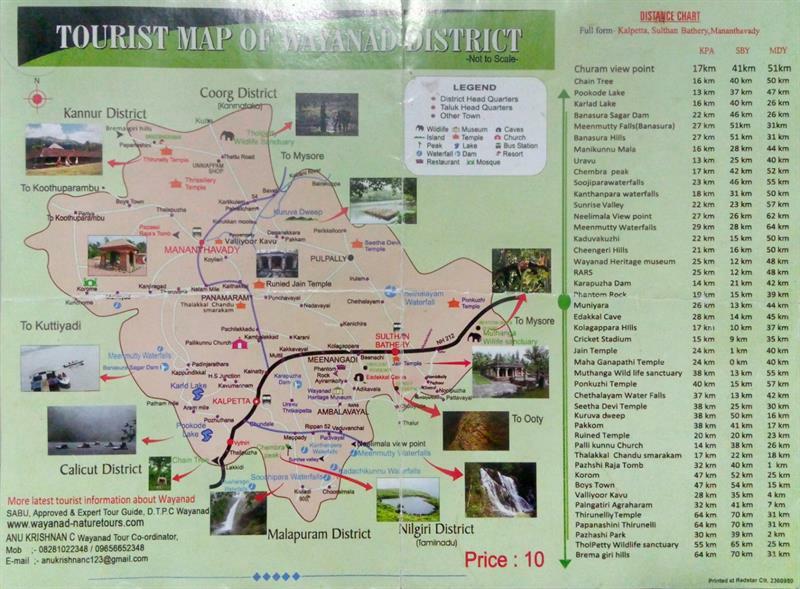 Being one of the less-traveled, but beautiful destination in Kerala, this information on Wayanad will be really useful.